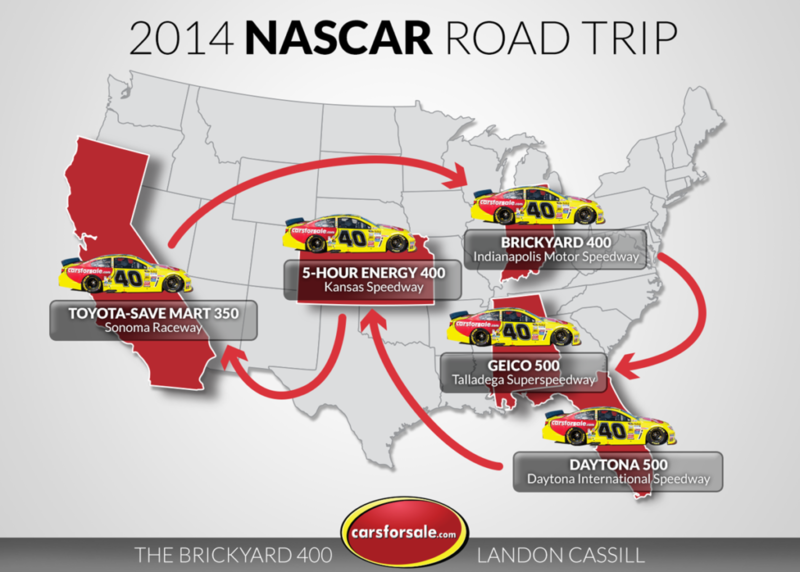 The exciting road trip with Landon Cassill of Hillman Racing continues as the Carsforsale.com #40 Chevy will hit the track at Indianapolis Motor Speedway for the Brickyard 400 on Sunday, July 27th. Everyone at Carsforsale.com is very excited to see once again that red and yellow rocket at another amazing race track with an equally amazing race history. 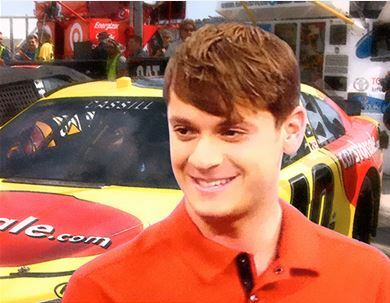 Racing full-time in the NASCAR Sprint Cup Series, Hillman Racing driver Landon Cassill is a young and exciting driver. Originally from Cedar Rapids, IA., Landon was the 2008 NASCAR Nationwide Series Rookie of the Year and continues to do double duty by racing in both the Nationwide and Sprint Cup Series. What you may not know is that despite his recent celebration of only his 25th birthday on July 7th, Sunday will be the 5th time Landon visits the Brickyard. During his first race at the Brickyard 400 in 2010, Landon became the youngest lap leader ever at the event; a record he still holds of 21 years, 18 days. For racing fans, Indianapolis Motor Speedway, or IMS, needs to introduction as it is pretty much as close to ground-zero for racing at you can get. 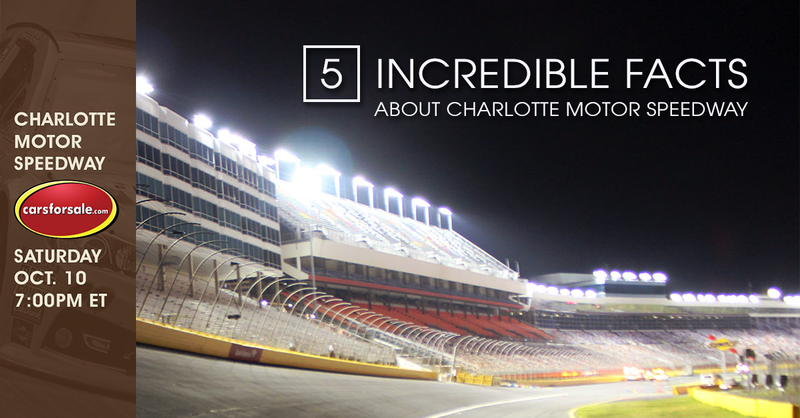 The history behind the track is equally as impressive as the size of the track. IMS held its debut race on August 19, 1909 in front of almost 20,000 standing spectators who showed up to watch about a dozen drivers. Later, in preparation for the first running of the Indianapolis 500 in 1911, the entire track was paved with 3.2 million bricks. Since then, the track has seen many changes and now only a single strip of bricks remain, and now has permanent seating for 250,000 fans. 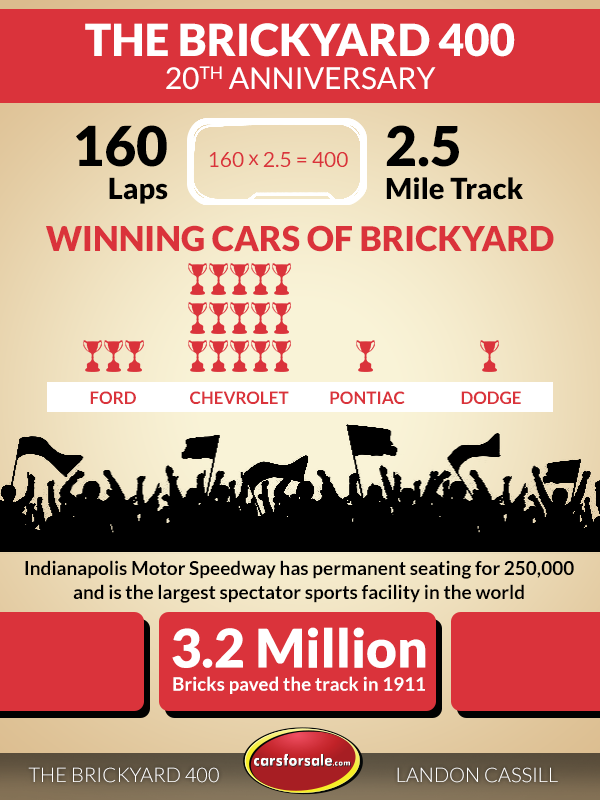 Although the majority of the bricks have been replaced, the name remains and the track will always be known as the Brickyard. In addition to this race at Indianapolis, Carsforsale.com has been very fortunate to be a part of some great races during the 2014 Sprint Cup Season. The Brickyard will be the fourth time Carsforsale.com has teamed up with Hillman Racing to sponsor a race. The #40 Carsforsale.com car made its debuted at the Daytona 500 on February 23rd, where Landon had an amazing 12th place finish. We have continued to partner with Hillman Racing to be a part of the #ConstantGrowth that has excited fans this season. 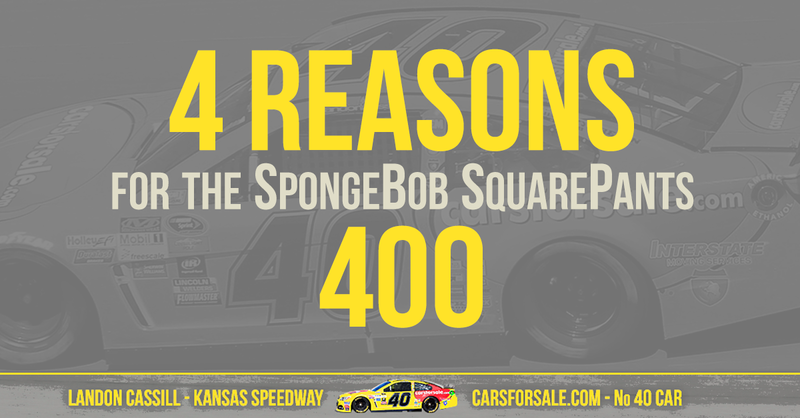 Landon Cassill also drove the #40 Carsforsale.com car at Kansas Speedway (5-Hour Energy 400) in an always-exciting night race, as well as Sonoma Raceway (Toyota-Save Mart 350) in the first of only two road courses this season. 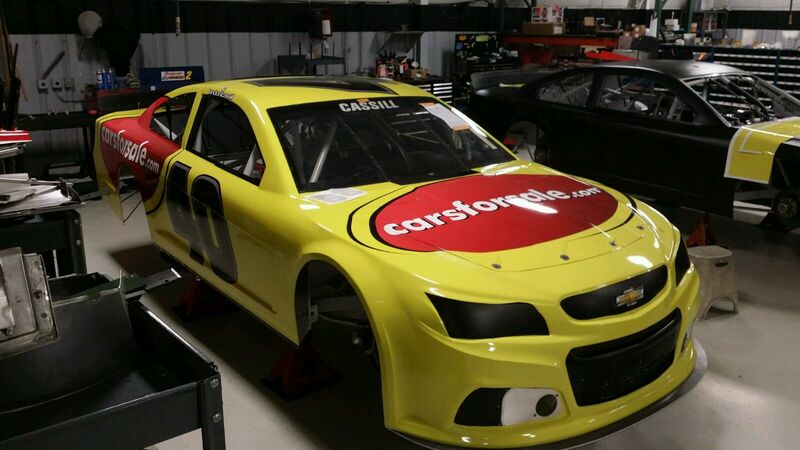 Carsforsale.com fans will also get a chance to see the #40 Chevy after Sunday’s race as it will return for the Geico 500 at Talladega Superspeedway on October 19, 2014. 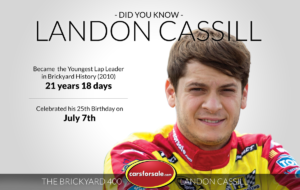 When you look at the history of the Brickyard and the history that Landon Cassill has had there, we are all excited for what should be an exciting race day. This year has been a lot of fun following Landon and the Hillman Racing team. We are proud to have the opportunity to be onboard with such a great crew. All of us here want to wish Landon and the entire team the best of luck on Sunday. You have everyone here on the Carsforsale.com staff cheering for you again! Think You Could Drive in NASCAR? Think Again.